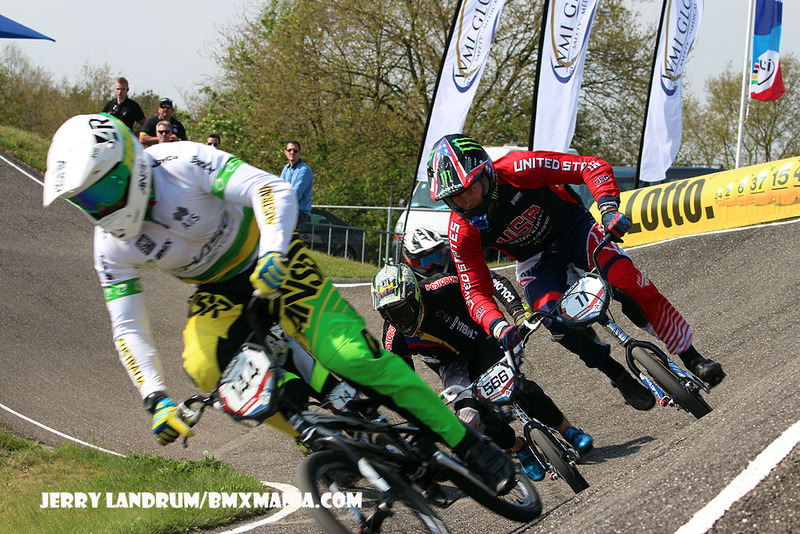 The Chase BMX Pro team headed off for round #2 of the 2015 UCI BMX Supercross World Cup tour this past weekend. Connor takes the Time Trail win, along side of Mariana Pajon. Connor Fields kicked things off, with winning the Saturday night Time Trail Finals, setting a track record on the way. 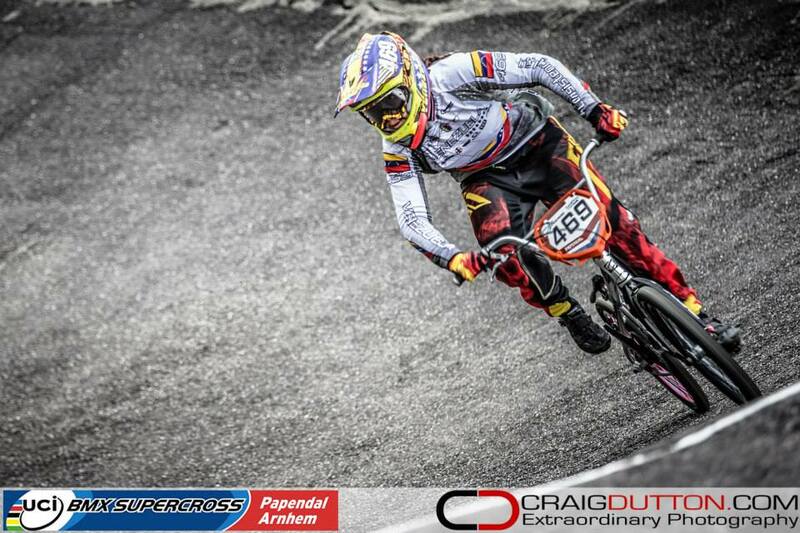 Joris Daudet was also in the 16 riders Super Finals, and he would wind up 10th overall. On the Elite Women’s side of things, Chase supported rider Stefany Hernandez was 2nd, behind Time Trail winner Mariana Pajon. Natalia Suvorova was 7th fastest and Dani George was 8th quickest for the Time Trail event. In the qualifiers rounds, Anthony Dean was on point, winning all 3 of his rounds being the 3rd qualifier. 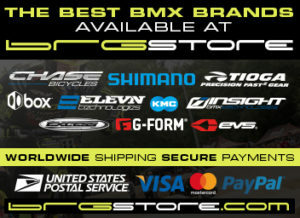 Carlos Ramirez was 9th overall qualifier, Romain Mahieu was 15th, Daniel Franks was 30th and they all qualified to the Sunday show, beating out over 140 other riders. 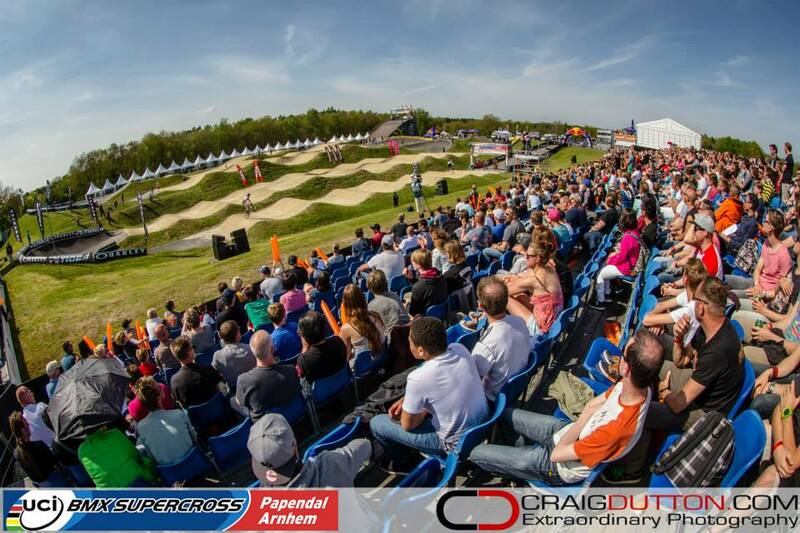 On Sunday, all the qualified riders took to the track, for 3 rounds of motos, and then onto single elimination racing. Daniel Franks rode well enough to qualify through the motos and Joris was the top qualifier in his moto group, rounding out the final of the Chase supported Elite riders. In the 1/4 finals, Romain, Dan Franks, and Carlos Ramirez didn’t transfer through. 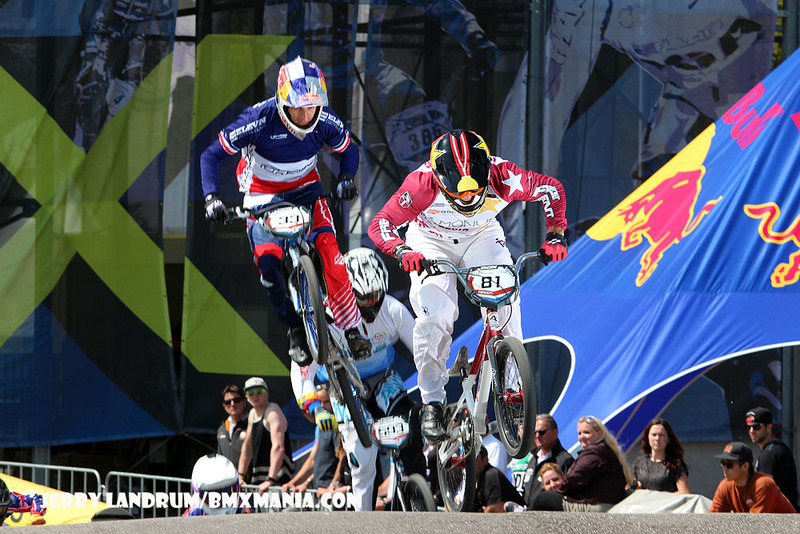 In the semi finals, Anthony Dean and Joris Daudet were the only 2 men to advance into the main event. Connor would have a crash in the semi final, keeping him out of the main event. On the Women’s side, Dani George, Stefany Hernandez, Natalia Suvorova, and Yaroslava Bondarenko all made it thought the qualifying motos. When the semi finals went through, it was Stefany Hernandez was he lone rider to make her way into the main event. Stefany Hernandez once again was consistent and rode her way to a 3rd place overall. 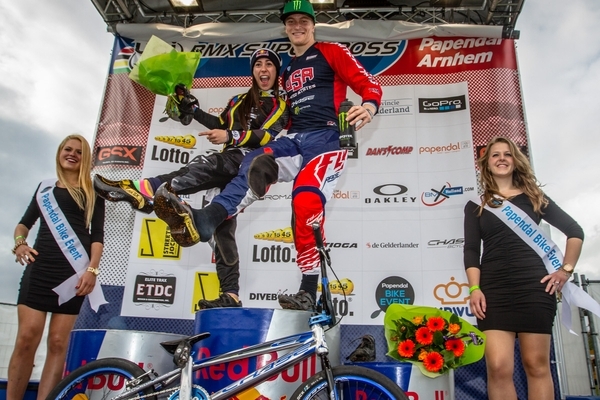 In the most stacked main events, it was the worlds fastest Elite riders going for glory. In Elite, Woman, it was Stefany Hernandez once again with a podium finish, in 3rd overall for the day. In Elite Men, Anthony Dean just missed out on the podium party, with a 4th, while Joris Daudet avoided a near crash, kept it on two wheels to a 8th place finish. With just 2 races out of the 5 for the 2015 season, points are already close. With a 3 month break on the SX tour, the riders are looming forward to the next stop in August in Sweden to get back on track, towards the overall SX season results. 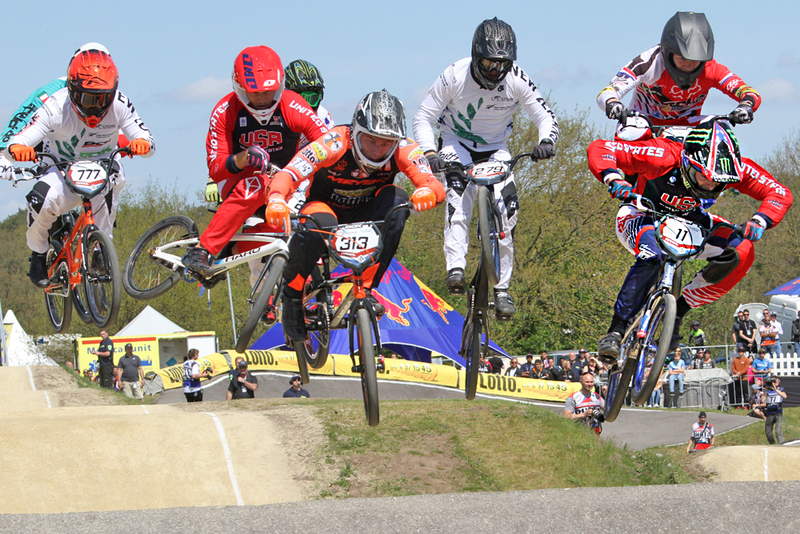 To watch a full replay of all of the racing from Holland, as well as stop #1 in England, head over to www.BMXlive.tv to catch all the racing action.